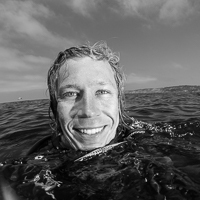 Ikelite's housing for the Canon 7D Mark II is the first on the market, and I was able to get it into the water on three dives off the beach here in Southern California to test the controls, ergonomics and overall performance of the housing. The Canon 7D Mark II is the most advanced crop sensor in Canon's lineup, boasting more features and better specs than the Canon 70D or the new T6s / T6i. 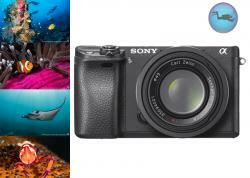 Key features for underwater photography include the 61-point autofocus system and 20MP Dual-Pixel AF CMOS sensor. This sensor provides Servo AF in Live View mode, which (along with the 70D) is the first DSLR to use both contrast and phase detection in Live View (i.e. movie mode), delivering incredibly fast autofocus. In this review, we discuss the key features of the Ikelite 7D Mark II housing. 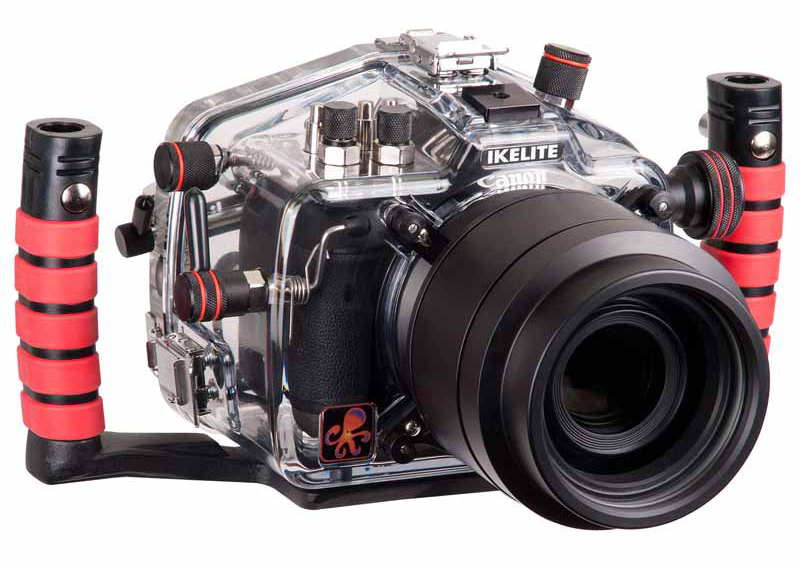 The Ikelite 7D Mark II housing is contructed with Ikelite's signature clear polycarbonate. One of the key benefits is that you can see through the housing to the camera controls, making it easy to adjust settings if you are not familiar with the 7D Mark II's ergonomics. 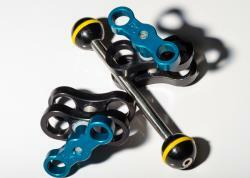 Ikelite housings are known to offer the best performance to dollar ratio in the underwater housing market. The Ikelite 7D Mark II lives up to this rep and offers scuba divers access to all important camera controls for half the price of any other popular housing. 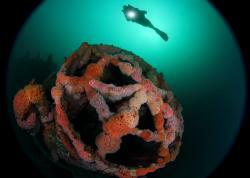 Ikelite's port selection for the 7D Mark II allows divers to shoot with all the lenses popular for underwater photography, including the 60mm macro, 100mm macro and Tokina 10-17mm fisheye. 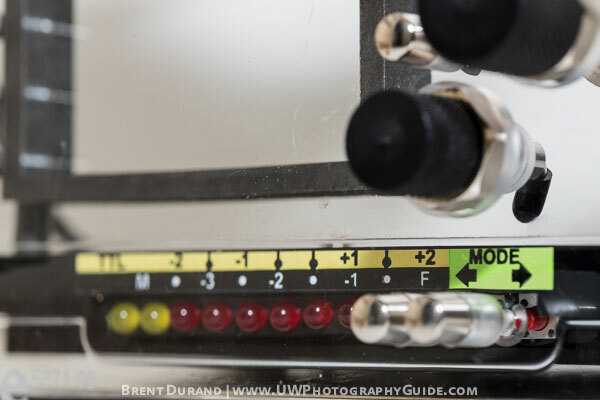 One of the really nice features in the Ikelite 7D Mark II housing is the built-in TTL capability. Ikelite's TTL circuitry is extremely accurate, relaying signals via sync cord. TTL flash exposure compensation is also easy to adjust. If you'd like to bump the flash exposure up or down, simply use the dedicated controls at the bottom of the housing to make the changes. Note that you need to use Ikelite strobes for this to work, however since they're some of the best strobes out there, this is a great thing. Ikelite makes it very easy to adjust TTL flash exposure with your right thumb. The Ikelite 7D Mark II set up for macro. The Ikelite 7D Mark II housing feels nice in your hands right out of the box. The housing back is locked/unlocked by three buckles, which I love because of their toughness, especially when it comes to sand. They wont jam and will work like day one no matter how much you abuse them. Just keep your fingers away as you unlock them, as they can "pop" back. Like all Ikelite DSLR housings, the camera mount plate is attached to the housing back, so you need to hold the 7D Mark II in place while attaching it to the tray. Make sure to have a fully charged battery, as you do need to remove the camera from the tray to replace batteries. The Ikelite 7D Mark II o-ring grooves are very easy to clean and then add the sighly lubricated o-ring. Simply fit the housing backplate into the housing groove and lock the latches to secure. Simple. The o-ring and o-ring grooves are very easy to inspect and clean. The Ikelite housing controls line up right with the 7D Mark II housing controls - so if you know where the button is on the camera, you'll easily find it when using the housing. The only exception is start/stop recording for video, which is conveniently moved to a right-thumb lever. The 7D Mk II housing provides access to all important camera controls except for the multi-controller, which serves a few functions. Most of these functions are redunant (i.e. you can move focus points via multi-controller or via top and rear control knobs), however the one area without a workaround is during image review. When zoomed in during image review the only way to scroll around the screen is with the multi-controller, which is conventient to checking precise focus, backscatter, depth of field, etc. The Ikelite 7D Mark II uses sync cords instead of fiber optic cables, which has its own set of pros and cons. On the pro side, there is no recycle time for the camera's onboard flash, allowing you to shoot as fast as your strobes can handle. Sync cords also deliver very reliable TTL. On the down side, sync cords require much more maintenance than fiber optic cables. I've owned several Ikelite housings, and upon inspection, this 7D Mark II housing is another great product from Ikelite. Rear view of the Ikelite 7D Mark II housing. 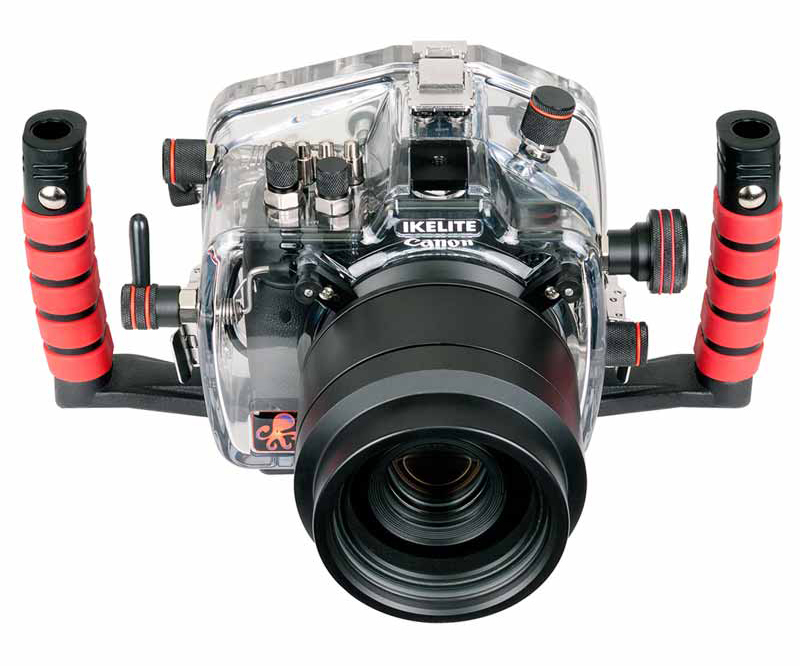 The Ikelite 7D Mark II housing is fun to use underwater. Buoyancy was great with the Ikelite and 8" dome port for the Tokina 10-17mm fisheye lens, with two strobes and two video lights attached to the arms and clamps. For the two macro dives with the Canon 100mm lens, I removed the video lights, added a focus light and also added 3.5 jumbo Stix floats to the arms on each side. The housing push buttons performed nice and smoothly while the knobs were easy to turn, even with my 5.4mm gloves. Ikelite's housing tray is spaced nicely from the housing sides, making it easy to hold and also to access the knobs and controls. Those with smaller hands/fingers can slide the hand slightly to reach controls, or the reverse for those with large hands/fingers. Ikelite's port system and lens release makes it easy to change ports and lenses between dives without needing to open the back of the housing or remove the camera. The less you have to open the housing during the dive day - the better. 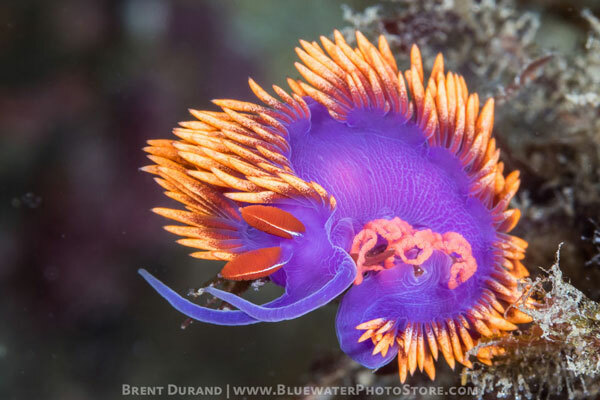 A spanish shawl nudibranch lays eggs. 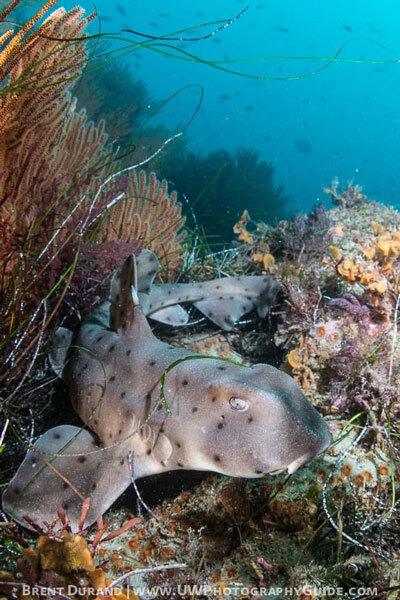 A horn shark poses for a photo on a typical Malibu reef. 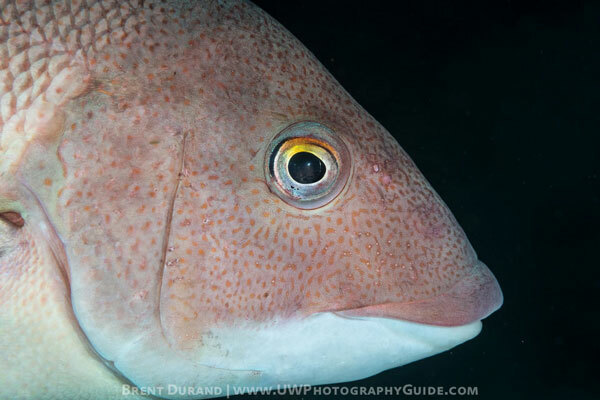 A passing sheephead was easy to track and photograph with the Ikelite 7D Mark II housing. 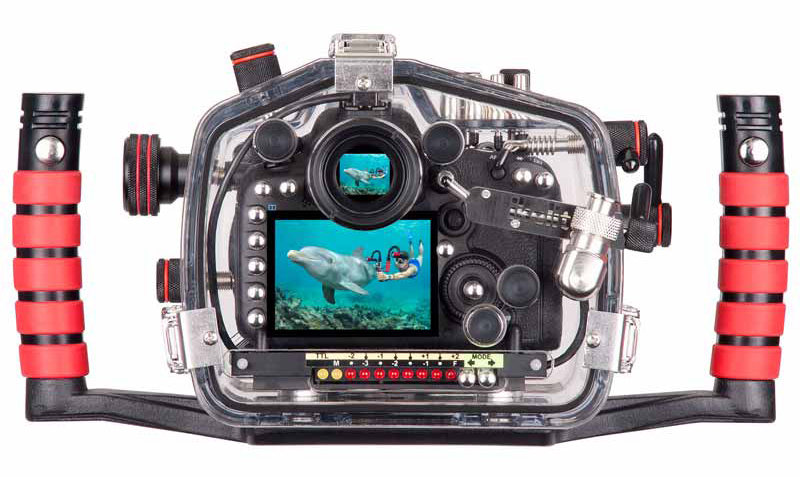 The Ikelite 7D Mark II housing performs very well and is an asset for underwater photographers of all skill levels. It is the only housing in its price class, offering access to all important camera controls. Accessories like ports, domes and even Ikelite's enhanced viewfinders are very affordable and deliver the image quality you would expect from the Canon 7D Mk II. As with all housings, you will need a few accessories to get your Ikelite 7D Mark II housing in the water. Here is our list of the essentials. 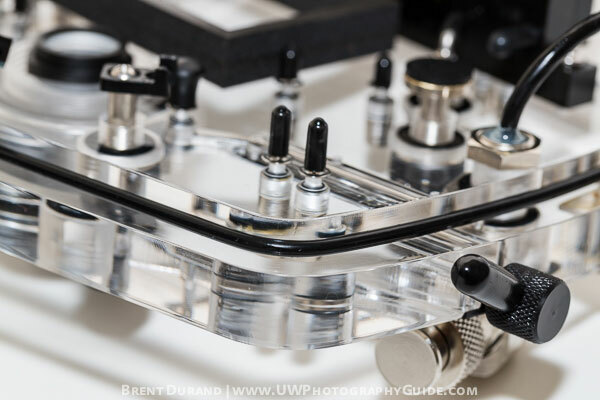 Ultralight Base Adapter for Ikelite Handles - These ball mounts allow you to mount your strobe arms and clamps. Ultralight Universal Ball Mount - Use this to mount a macro focus light, GoPro or other accessories. Ikelite Macro Port - Use this port with your 60mm macro lens, while the Ikelite SLR 100mm Flat Port is used for the 100mm lens. Ikelite 8" Dome Port - This is a great dome port for your fisheye or wide-agle lens. Note that you will also need the appropriate extension ring. Aside from these basics, you will also want to start researching strobes, video lights, arms and clamps and a focus light. The team at Bluewater Photo can help make the best recommendations for your style of diving and photography, as well as compare simiilar products or addtional accessories like the Ikelite Enhanced Viewfinder.